Open daily for use by appointment only. For mikvah information, tours, events, and educational services. 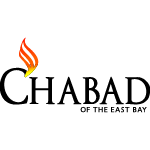 Please contact Miriam Ferris: mferris@chabadberkeley.org, 510-684-5292. Services are available upon request. Programs include study groups, speakers bureau, pre-marital counseling for brides, couples counseling, & literature.